The documentary took three years of production. 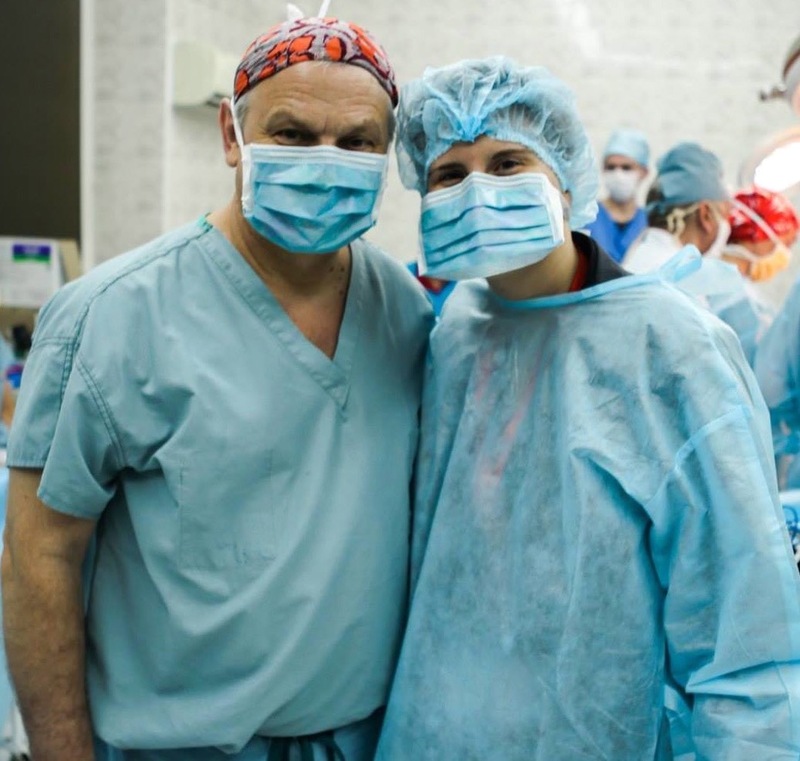 Filming first began when Adriana was invited by the Canada-Ukraine Foundation to join the team of the Canadian Medical Mission to Ukraine as photographer of the Mission. She noticed news channels would come and go but not capture the real depth of all that was occurring. Adriana began to film and interview, as well as continue to photograph. The documentary is produced by Yurij Luhovy. “Recovery Room” has won ten international awards including for best Woman Filmmaker and Foreign Feature, best Editing, best Music Score, and Award of Merit for best Documentary Feature. The documentary is under the patronage of the Ukrainian World Congress. Comments about the documentary include, “best documentary on the Revolution of Dignity and its aftermath”, Lesia Chyczij, and “an important piece of work! Shows the truth about Russian aggression in Ukraine”, Nadia Vozdigan, Embassy of Ukraine in Canada, first secretary. The documentary, a story of hope, resilience and compassion in a time of war, is being screened in Canada and U.S.
Photo: Filmmaker Adriana Luhovy with Dr. Oleh Antonyshyn, head of medical mission. 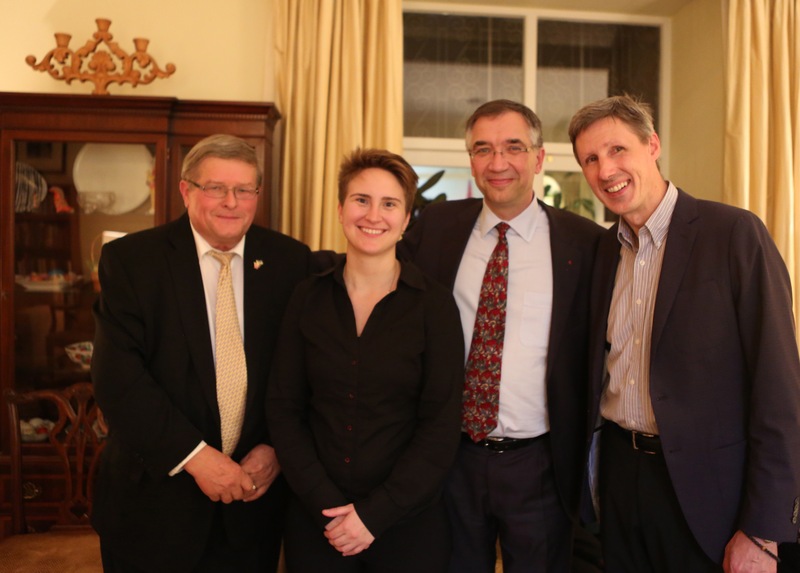 Photo During filming in Kyiv: Adriana Luhovy, director of “Recovery Room” with Victor Hetmanczuk, CUF president, Ambassador Roman Waschuk, and Serhiy Kasyanchuk, UWC Kyiv bureau. 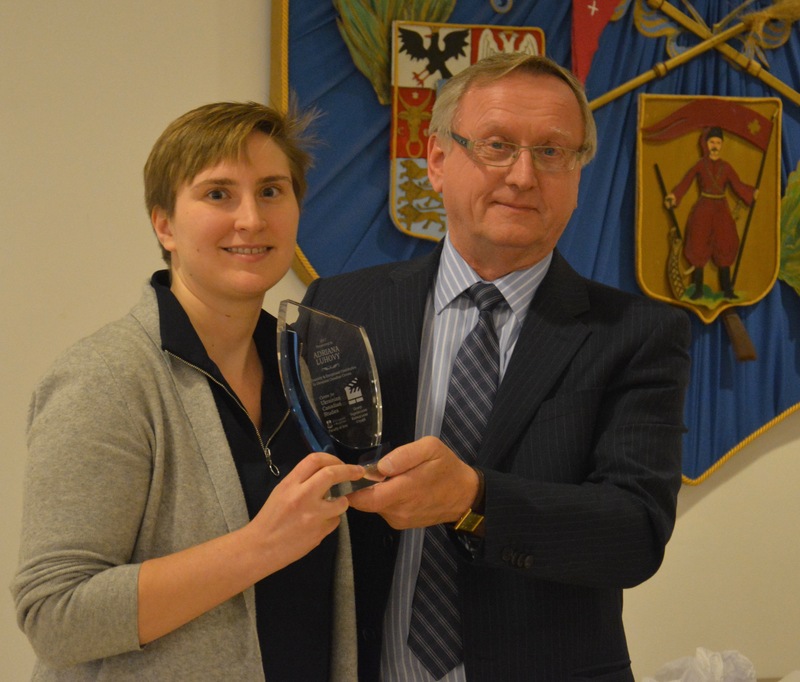 Photo: Prof. Orest Cap, director, Centre for Ukrainian Canadian Studies, University of Manitoba, presenting Award for the film to Adriana Luhovy.